McKee's 37 High Def Paint Sealant, 8 oz. Buy One, Get One FREE! McKee's 37 High Def Paint Sealant is a creamy synthetic polymer formula that guards your vehicle's paintwork against the damaging effects of UV rays, road salt, bug splatter, water spots, acid rain, and environmental pollution while enhancing the depth and gloss. High Definition polymers form a catalytic bond to painted surfaces to provide long lasting protection, even during harsh winter weather where low temperatures and corrosive road salt are constantly trying to wreak havoc on your vehicle's delicate finish. 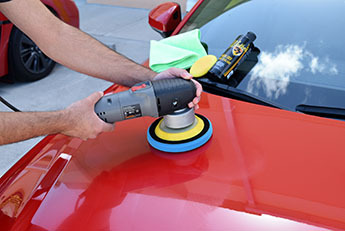 Your vehicle's paint will have mile-deep reflections after using McKee's 37 High Def Paint Sealant. Synthetic paint sealants have been the choice of professionals because they provide unmatched paint protection, gloss and slickness. Until recent advancements in surface enhancement technology, such sealants were not readily available to the public because they required special training to properly apply. McKee's 37 High Def Paint Sealant is a breakthrough in polymer technology because it offers professional-grade paint protection that anyone can apply in the comfort of their garage. High Def Paint Sealant is a high gloss, low-effort synthetic paint sealant that delivers professional results. Paint sealants offer an advantage over carnauba waxes because they have a much higher melting point, and can withstand high-pH detergents and road salt. 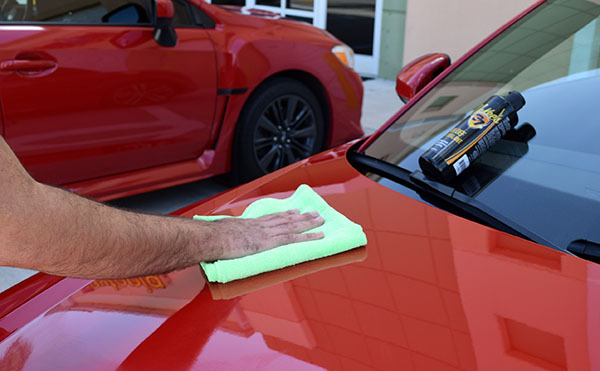 McKee's 37 High Def Paint Sealant features High Definition Polymer Technology that amplifies your vehicle's clear coat without muting the underlying color coat. The result? 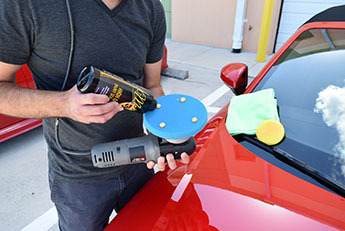 Your vehicle's paint will exhibit the deep, warm glow of a carnauba wax without the drawbacks. McKee's 37 High Def Paint Sealant is the only synthetic paint sealant you need! McKee's 37 High Def Paint Sealant was formulated in South Florida, so there's no issue applying it in a hot, humid climate. A little bit goes a long way, which means one 16-ounce bottle will seal up to 15 full size family sedans! Just a couple dabs on a foam applicator pad is all you need to completely coat your entire vehicle with protection that can withstand any climate. And the removal? It's effortless. Once it dries to a haze (10-15 minutes), one swipe of the towel is all you need to buff off High Def Paint Sealant. The finish left behind is best described as incredible. It's extremely slick feeling, too! McKee's 37 High Def Paint Sealant can be applied by hand using a soft foam applicator pad, or by machine using a soft foam waxing pad. After you apply High Def Paint Sealant, allow it to dry to a haze for 10-15 minutes before buffing it off. Once the entire vehicle has been sealed, avoid exposure to moisture for 6 hours while the sealant cures. Take Bob McKee's word for it. Over the course of the last thirty years, Bob has developed thousands of products for the world's most prestigious brands. High Def Paint Sealant is so good, he put his name on it! I liked it. 5 Have only used it once, dont know how long it will hold up. Pros:Easy on and easy off! Hi def paint sealant 5 This is a great product. Extremely easy to use. Makes any well maintained paint surface come alive even more. Ive stopped using other products. Pros:Outstanding results, short time with no extra effort. McKee's 37 Fast Polish Buy One, Get One FREE!